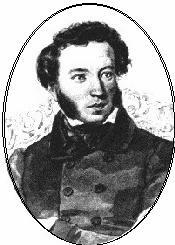 ﻿ Poetry Lovers' Page - Aleksandr Pushkin: "Oh, Muse of the Red..."
You are here: Home » Russian Poets » Aleksandr Pushkin » "Oh, Muse of the Red..."
"Oh, Muse of the Red..."
Give me the whip of Juvenal! I'll send the pledge of epigrams! Of somebody, please help me smartly! The brand, that ever must there be.